In 2020, the Census will be conducted primarily online for the first time. Like past e-government efforts, this will likely impact libraries and libraries' technology resources as staff work to assist people in participating in the Census. The 2020 Census also presents an opportunity to increase public awareness and use of Census data. 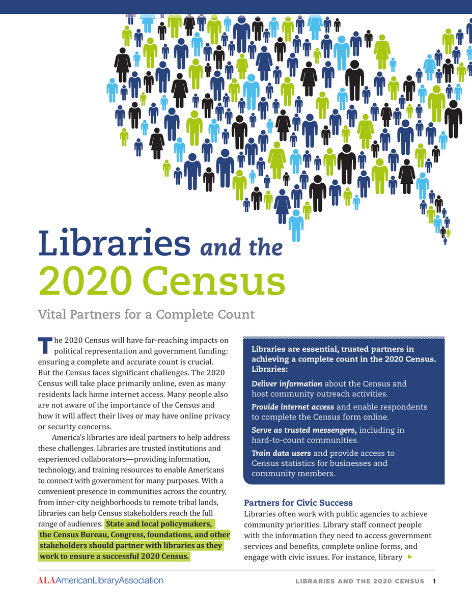 To best position libraries to support our communities in the 2020 Census, ALA is engaging with the Census Bureau and other stakeholders to ensure that libraries are informed and represented in the policy discussions and planning process. ALA is advocating for a fair, accurate, and inclusive Census that recognizes the roles libraries will play in this vital civic effort. Representation: The decennial count of all U.S. residents is required by the U.S. Constitution to determine representation in Congress and the Electoral College (known as reapportionment). This data is also the basis for drawing districts for federal, state, and local offices (known as redistricting). 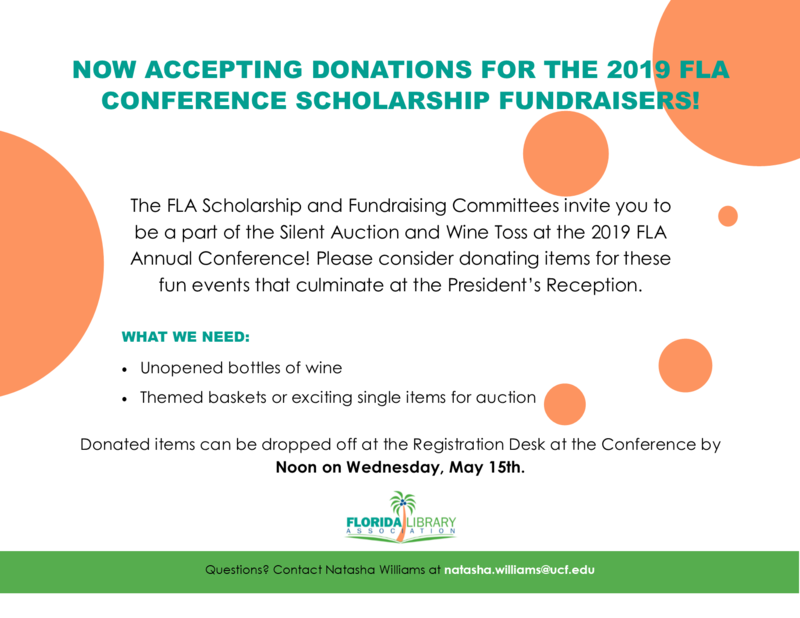 Funding: The Census is key to the allocation of billions of dollars in federal funding to states and localities (such as grants to states under the Library Services and Technology Act). Information: Data resulting from the Census is widely used by researchers, governments, businesses, and other organizations (to, for example, plan for library services). Partners in E-Government: In 2020, the Census Bureau for the first time will encourage residents to complete the Census questionnaire online, starting in March 2020. Like past e-government efforts, this likely will place additional demands on library staff and technology resources to enable people to complete the Census questionnaire. (Other response methods will also be available.) Libraries can use their experience partnering with government to assist their communities in achieving a fair, accurate, and inclusive count. Education and Community Outreach: Libraries have the opportunity to educate their communities about the Census. In the 2010 Census, more than 6,000 library locations hosted Census Bureau outreach activities. Public Spaces: Census Bureau field staff often utilize community rooms in libraries as affordable temporary workspaces, such as for staff hiring and training. Other community stakeholders may also use library meeting rooms to host events related to the 2020 Census. Read ALA's brief for decision makers "Libraries and the 2020 Census"
To advise ALA’s efforts on the 2020 Census, ALA convened a 2020 Census Library Outreach and Education Task Force. Their charge is: "To advise the association on conducting outreach and education to inform library staff about potential impacts—particularly for public libraries—that may arise from the 2020 Census, gathering information from library colleagues about expected impacts and needs, and collaborating with the Census Bureau and other decision makers to best meet the needs of libraries and support an accurate Census."